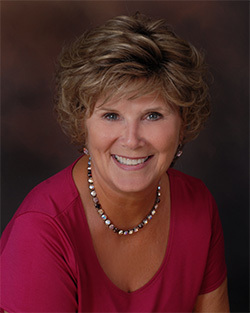 Sue Lee joined Martin Properties in 1990 as a receptionist/administrative assistant. Over the years, she has learned many aspects of property management and now holds the position of Accounting and Human Resources Manager. Sue grew up in the Blacksburg, Virginia area and started her career with a local real estate company , working there for 10 years. After moving to Cary, NC and taking time off to raise her children, Sue re-entered the workforce, joining Martin Properties. She holds a North Carolina Real Estate License and is also a Notary Public for Wake County. Sue is a busy lady both on and off the job! She is a member of Hope Community Church. She is also an avid gardener, growing both beautiful flowers and yummy blueberries! Sue is married to Lawrence Lee and has two grown daughters, Kimberly and Melissa, and a grandson, Owen, and a granddaughter, Zoey.